What are treatments for dental disease in my dog? Dental disease in dogs is the canine equivalent of human periodontal disease. This inflammatory gum condition may start out as seemingly mild with symptoms that are easy to overlook and ignore, but eventually it can have serious consequences for your dog’s teeth and his overall health and wellbeing. When your dog eats, the bacteria on his teeth and chemicals in the food that he consumes will interact. Unless the food debris is cleaned away, the result of this interaction is plaque – a sticky substance that adheres to your dog’s teeth. Plaque can quickly accumulate, often forming on the outer faces of the teeth close to where they meet the gums. If the plaque spreads on to the gum tissue, the bacteria it contains can irritate the soft tissue, making it swollen, sore and red. A short while after, the gums may bleed when your dog is eating, and you might notice blood in his water bowl or food bowl. You may also see them bleeding when you brush his teeth. Left untreated, the bacteria in the plaque that has spread on to your dog’s gums can cause infection. When this happens, abscesses can form, the condition becomes very painful and the gums may recede away from the teeth, causing them to come loose or even fall out. The infection can even cause the bone in the jaw to deteriorate. 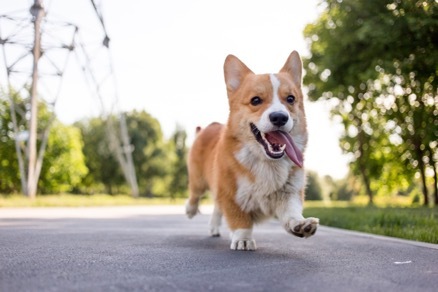 Eventually, the bacteria can enter the bloodstream where they can travel to other areas of your dog’s body including his heart, liver and kidneys. Dogs diagnosed with dental disease are more likely to suffer from health complications that include diabetes, heart disease, respiratory infections and oral cancer. Checking the depth of the pockets that form between the teeth and gum tissue. These are known as periodontal pockets and if they are more than 2mm deep, your dog will be considered to have at least some degree of dental disease. Taking x-rays of your dog’s teeth. This is importance since around 60% of the signs of periodontal disease fall below the gums and are therefore not visible to the naked eye. By taking x-rays, your pet dentist will be able to determine how severely your pet has been affected. A blood test. If your pet dentist has reason to believe that the dental disease has progressed, they may arrange for your dog to have a blood test to check that other body functions haven’t been affected by the condition. Can canine dental disease be treated? Much the same as any dental or health problem, the earlier your dog receives a diagnosis of dental disease, the more quickly treatment can begin, and this can substantially improve the overall outcome for your canine pal. Exactly which treatment your pet dentist will recommend will depend on how advanced your dog’s condition is. 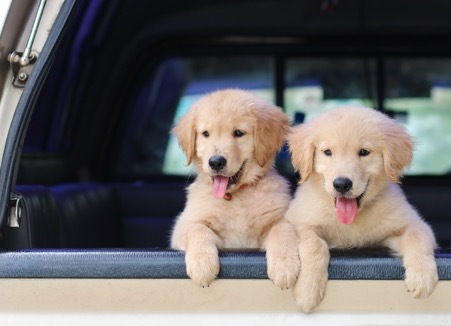 In the early stages, his treatment plan will largely involve maintaining a robust oral hygiene routine so that the level of plaque your dog has is well controlled and the condition cannot worsen. 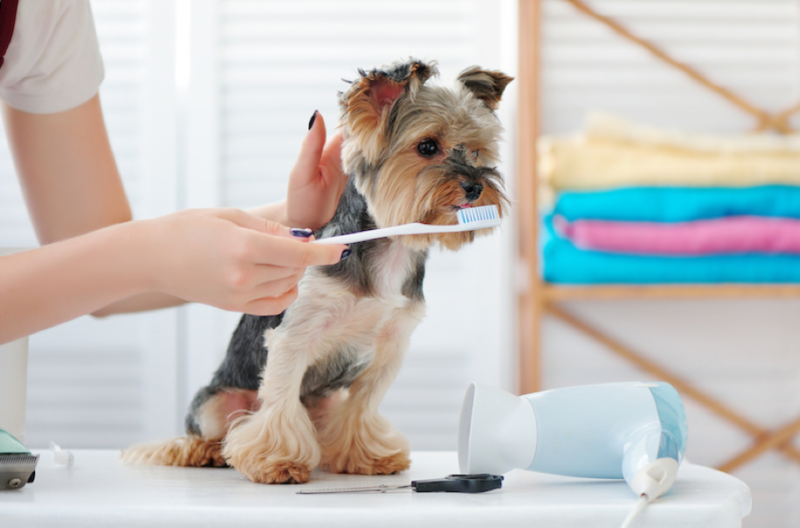 Your pet dentistry team will talk you through the best ways to brush your dog’s teeth, which products you should be using and the importance of attending regular professional cleans (as scheduled) which are superior to brushing at home. If your dog’s dental disease is more advanced, your pet dentist in Fort Walton Beach, FL may recommend a deep, professional clean and the use of antibiotic ointments to rejuvenate gum tissues and reduce the size of your pet’s periodontal pockets. In the final stages of the condition it may be necessary for your pet dentist to suggest bone grafting and other more invasive treatments. If you would like to find out more about dental disease or if you suspect that your canine pal may be suffering from this condition and require assistance from our experienced pet dentistry team, please don’t hesitate to contact our vets in Fort Walton Beach, FL at 850-810-0700 and schedule a dental exam today!